WE WERE on the Hume, me and Steve Brooks. Two men and two trucks, the newly launched New Truck Generation Scania trucks. I had driven the six cylinder R 500 B-Double from Sydney to Gundagai (see road test in the previous issue of Big Rigs) and now step up the extra step to the taller, more powerful R 620, the V8 powered line-haul machine also hooked up to a B-double set of trailers, this time grossing 62 tonne. At Gundagai it's a late summer day, the sun is shining and for a bloke who only yesterday flew out of a heavy Wet Season in the Top End, the weather was a pleasant change. Sitting high in the V8, the driving controls mirror of the 13 litre banger, "Learn the ropes with one Scania, you learn for all,” so my new minder, Scania man Lindsay Pollock, tells me. I clicked the right hand wand toggle to D-for-Drive and the beast pulled out of the Gundagai Shell and we were southbound. A few clicks and the 100km/h cruise control, 103km/h descent retarder controls were back in place. The V8 gurgled along as only a V8 can, the Freighter Trailers tracking straight as a ruler with the outfit's 62 tonne gross. These trucks are the product of a ground-up revision of all major components bringing, according to Scania, improvements to safety, fuel efficiency, driving environment and uptime. The smaller G500 was a sweet truck to drive. The R620 too is very easy to come to terms with although the steering seemed to run a little. "Reactive steering, it's very sensitive,” Pollock answered my query. But the steering wasn't bad, probably just something to talk about. The Scania claim is that the new trucks will cost less to run, are less fatiguing to drive and are safer. I think about these claims as the big truck rolls down the Hume heading for the border. 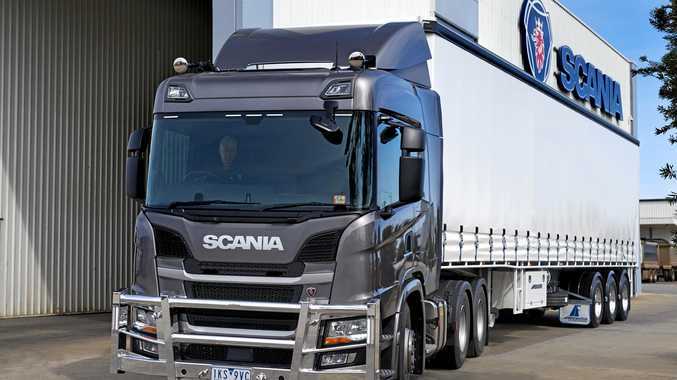 It is interesting that the R620, as with the G500, that these trucks are specced up with Euro 5 engines where on previous test drives with Scania B-doubles - maybe two years ago on the Melbourne Adelaide run - Scania was pushing Euro 6 product. 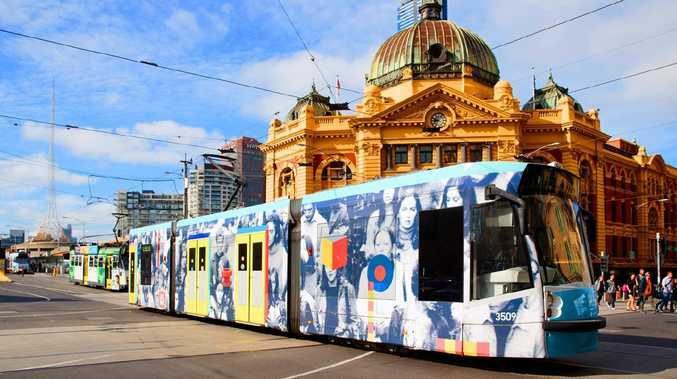 A change in corporate philosophy, or just meeting the demands of the Australian market? Getting into the nitty-gritty of change with these New Gen trucks, the V8 has redeveloped combustion chambers and new injectors that delivers a .2 per cent to .5 per cent fuel saving. The cooling fans are now direct-driven and don't pull horsepower out of the engine like the old Houghton clutch fans did causing a drop in power and an increase in fuel consumption. 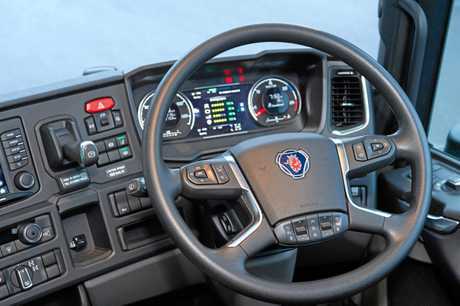 As with all the New Generation line, I found the external aesthetics of the cab a little retro, but Scania says improved aerodynamics and smart engine management deliver a comparative reduction of up to five per cent over previous configurations. V8 engine power choices in the new trucks are 520 and 620 hp with Euro 5 standards and with Euro 6 the choices are broader with 520, 580, 650, and 730hp ratings. Scania claims a seven to 10 per cent fuel consumption improvement where applications have a high GCM, multiple trailers, higher average speeds or a combination of all. 5). 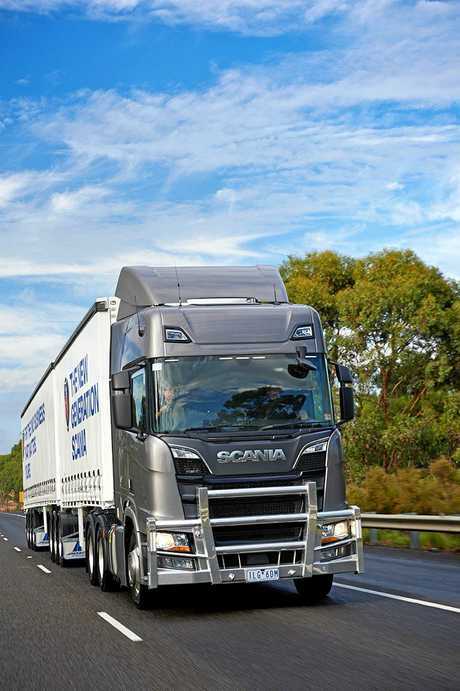 The aerodynamic changes of Scania's New Truck Generation contribute around 2 per cent for a typical long-distance customer, even with Australian-spec bull bars fitted - proven, Scania says, by on-road testing in Australia. The fuel tanks are topped up at a servo in Albury and we cross the Murray. The road is levelling out now into the gentle undulations of the Hume though Victoria, a three-hour run into Melbourne and the Scania dealership. 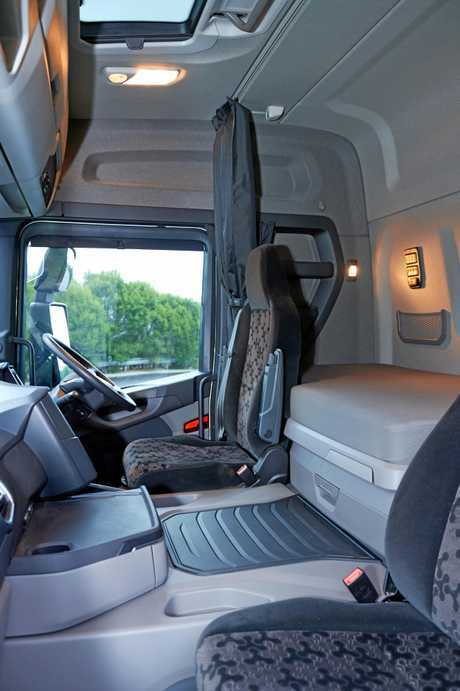 Both the G500 and R620 New Truck Generation Scanias were exceptionally easy to drive. Leaving Sydney at 7am, we pulled into the Scania yard in Melbourne at 6 pm. The trucks ran the distance out of sight of each other and Steve Brooks and I were not attempting to run together however through the hills and over the flats, these two trucks pulled unbelievably matched driving times for all the legs. In summary, the R620 V8 truck grossed 62 tonnes drove 816 km averaging 47 litres/100km (2.12km/l) and used 383.5 litres of fuel for the trip at an average speed of 84 km/h. The G500 grossed of 56 tonnes drove 811km with the fuel averaging 48.3 l/100km (2.07km/l) and used 391 litres of fuel for the trip at an average speed of 85km/h. So the 16 litre V8 bettered the 13 litre straight six by a minimal seven litres for the trip. The smaller truck averaged close to 1km/h speed faster than its bigger sibling, unnoticeable in the real on-highway world. The realisation coming from this double-header road test is that the New Generation Scania trucks really are exactly that, a new wave of driving that looks to the future and offers an unprecedented ease of driving and comfort. These are smart, intelligent trucks and if a driver is willing to trust in the technology, you climb out of the cab after 11 hours on the road more refreshed than I would expect from a modern sedan.